Dana bipolar plates with integrated seals and coatings offer reliable, low-cost product solutions for advanced fuel-cell engines. Our stack components include either metal or molded composite plate materials, specifically designed and tested to meet a wide range of fuel-cell applications. And, our technology innovations in precision stamping, laser welding, composite molding, integrated seals, and in-line coating have been applied to create superior product value. 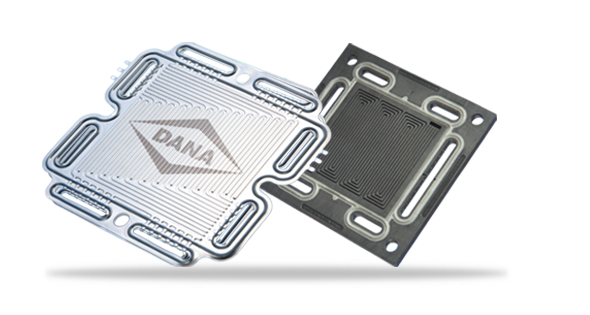 Designed for manufacturability and production ready today, Dana’s bipolar plates deliver increased performance and reliability at a lower systems cost.